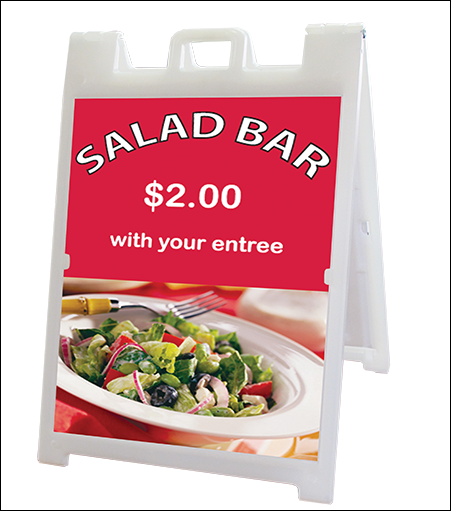 All plastic countertop sign frame uses patented "Quick-Change" feature so signs easily slide in and out - Change signs in seconds! No adhesive needed. 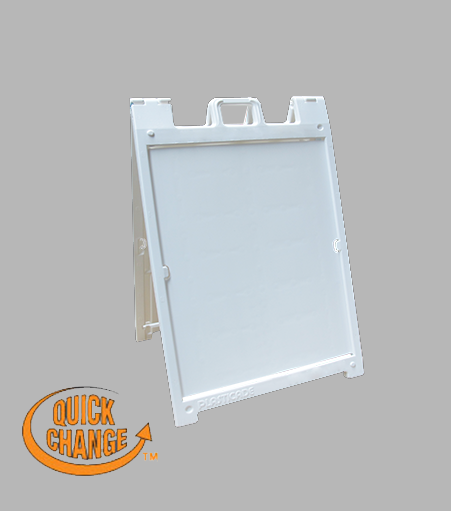 Comes with two clear acrylic cover sheets to keep paper signs clean. 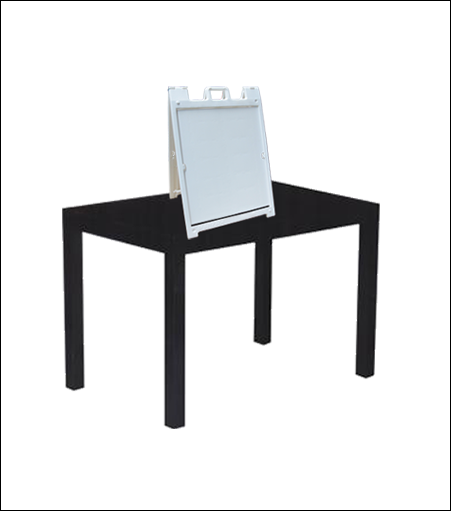 Use as a marker board with wet erase markers.